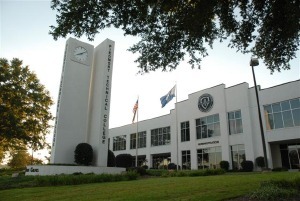 Greenwood County is home to both Lander University and Piedmont Technical College. Both educational institutions offer a wide array of study courses. The University houses the Monsanto Art Center which showcases local as well as nationally known artists along with various artistic programs. The University houses welding, sculpture, drawing and photography departments, allowing the Center to provide a plethora of artistic creations. 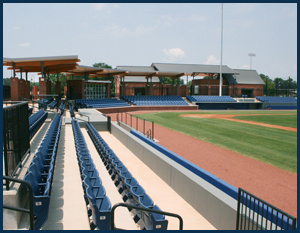 Lander University also houses the Jeff May Sports Complex which sports a baseball Stadium, a softball stadium, tennis courts, soccer fields, along with a lit walking trail around the entire complex. The popular Equestrian Center is located off campus on Hwy 72 and offers a large covered horse arena and the Equestrian Team hosts ISHA Regional Hunt Seat and Western Shows. The beautiful fountain gateway to the University is located on Hwy 25/Montague Ave in Greenwood, SC. The Lander Bearcats have produced a fantastic sports accomplishment records for a small state university. More information on the University is located on their website www.lander.edu or by calling them at 864-388-8000. Piedmont Technical College founded in 1966, has been a leader in the area providing an excellent two-year degree in various areas. The College houses a Conference Center which holds several community events such as the Super Networking Night, The Parents Expo, the Foothills Craft Show along with hosting business organizations, non-profits and other group seminars. The college also hosts Arts and Craft Shows such as The Pottery Trail and Gunsmith shows.